Bioderma Micellar Water – this has been raved and ranted on endlessly in blogsphere and modeling world. No other micellar water has come close to this, or is as gentle as this one. Rodial Glamtox Cleansing Balm – Bloody love this balm. It’s a thick textured balm which I massage onto dry skin and it effectively removes moi makeup! 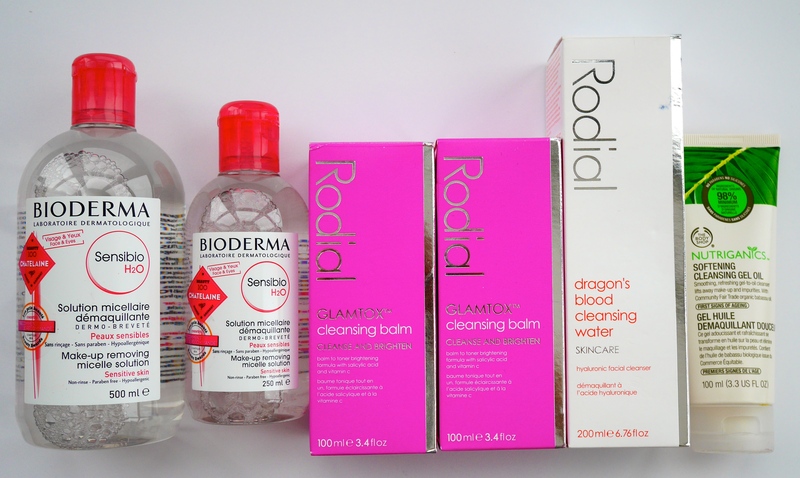 Rodial Dragons Blood Cleansing Water – Good but not as good as Bioderma Micellar Water. I use this one as an aromatherapy treat. The Body Shop Nutriganics Cleansing Gel – my rave, rant and disappointment on it being discontinued can be found here.